Higher serum uric acid (UA) was associated with higher bone mass, lower bone turnover, and lower prevalence of vertebral fracture in postmenopausal women. Furthermore, UA suppressed osteoclastogenesis and decreased production of reactive oxygen species in osteoclast precursors, indicating UA may have beneficial effects on bone metabolism as an antioxidant. UA is known to play a physiological role as an antioxidant, and oxidative stress has detrimental effects on bone metabolism. In the present study, we investigated the association of serum UA level with the osteoporosis-related phenotypes and its direct effect on bone-resorbing osteoclasts using in vitro systems. This is a large cross-sectional study, including 7,502 healthy postmenopausal women. Bone mineral density (BMD) and serum UA concentrations were obtained from all subjects. Data on bone turnover markers and lateral thoracolumbar radiographs were available for 1,023 and 6,918 subjects, respectively. An in vitro study investigated osteoclastogenesis and reactive oxygen species (ROS) levels according to UA treatment. After adjusting for multiple confounders, serum UA levels were positively associated with BMD at all sites (all p < 0.001). 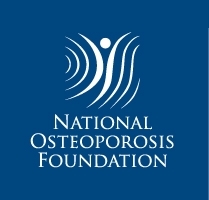 Compared with the participants in the highest UA quartile, the odds for osteoporosis were 40 % higher in those in the lowest quartile. The serum UA levels were inversely related to both serum C-terminal telopeptide of type I collagen and osteocalcin levels (p < 0.001 and p = 0.004, respectively). Consistently, subjects with vertebral fracture had lower serum UA levels, compared with those without it (p = 0.009). An in vitro study showed that UA decreased osteoclastogenesis in a dose-dependent manner and reduced the production of ROS in osteoclast precursors. 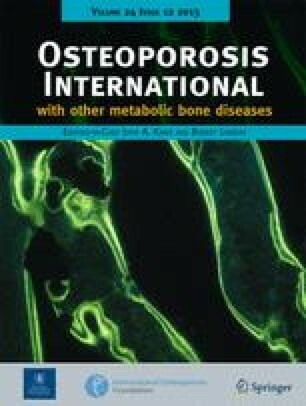 These results provide epidemiological and experimental evidence that serum UA may have a beneficial effect on bone metabolism as an antioxidant in postmenopausal women. The online version of this article (doi: 10.1007/s00198-013-2377-7) contains supplementary material, which is available to authorized users. This study was supported by a grant from the Korea Health Technology R&D Project, Ministry of Health & Welfare, Republic of Korea (project no. : A110536) and a grant from the Asan Institute for Life Sciences, Seoul, Republic of Korea (project no. : 2011–523).